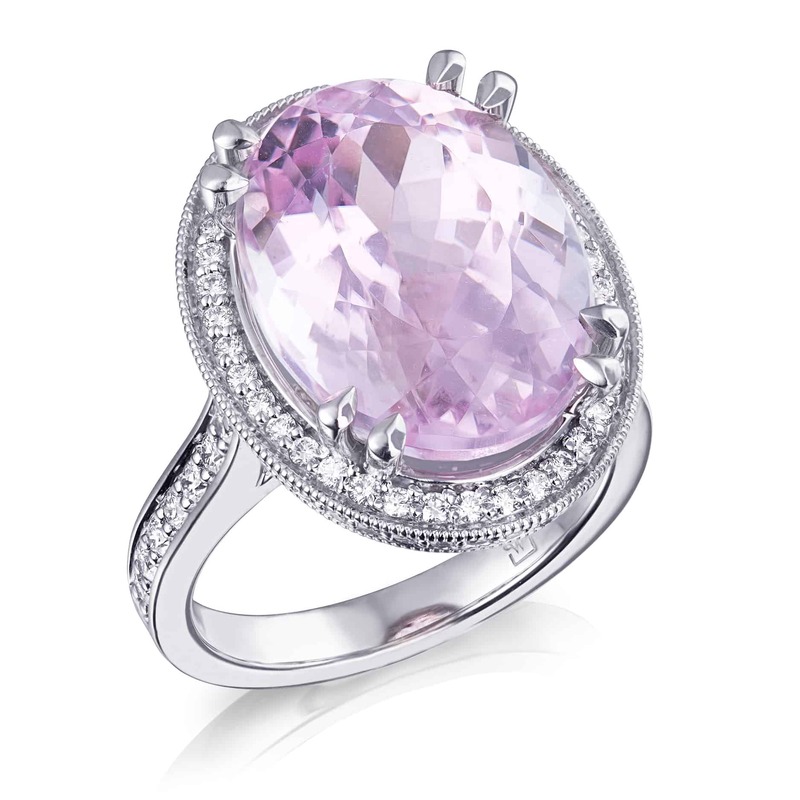 "John Whitaker Colour Collection" 9ct White Gold 11.60ct Oval Pink Kunzite and 95=0.66tw Round Diamond Ring. All pieces from the Colour Collection are unique, one of a kind, designs. If they are not available in store they can be recreated or reinterpreted to fit your own vision, style and budget.